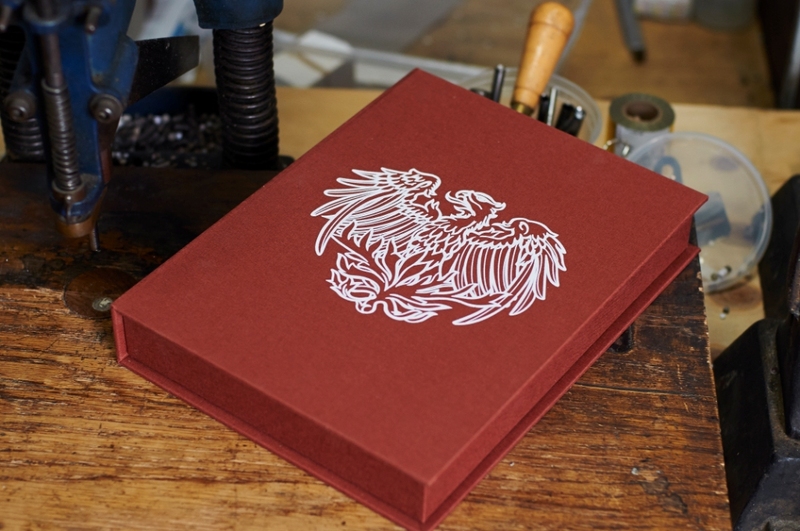 This spectacular box was a gift for a significant donor to the University of Chicago. The oversized logo was screen printed on Iris book cloth which was an exact match of the University’s colors. When logos or other design materials get too large to accommodate die embossing, high quality inkjet printing or screen printing are best suited to insure the highest resolution and best look.